This post contains affiliate links and I will be compensated if you make a purchase after clicking on my links. Please see the disclosure policy. Who doesn’t want money?! Nobody! I am sure we all want and need money, right? That’s why we are all doing our best to make money for whatever our own reason and purpose. Even if you have a regular job, either full-time or part-time, with a steady income, you still think of other resources for additional money. How much more the stay-at-home moms without a job? How they wish to have a way to make money while staying at home to look after their kids?! Do you feel the same way? I know that others are skeptical about it and questioning the fact that you can earn money online. I must admit that I was one of them before. There is a truth in the “You’ll never know ’til you get there” saying. I just had this realization when I became a stay-at-home mom when I was laid-off with my regular job and then decided to work from home and started a blog. Actually, there are lots of ways! So, here are some of the real ways to make money online so you can do it at your most comfortable and available time. This is my number 1 recommendation, of course, because this started all for me. I may not be earning as much as others but I am happy because I started it and will continue to do my best plus hard work to achieve my goal. If you want to know how to start a blog and make money, please read my post here. It is a free step by step guide to help you to start your own blog. You will also know the benefits of blogging. On that post, I also have ideas on how to choose a domain name and choosing a hosting plan like SiteGround. This is the hosting plan that I have used right from the start. You can also check out the List of the Best Blogging Tools. It could be a guide for all of you who are just starting the journey in the blogging world. These tools make our blog life easier and better. You can make money with your blog through ads, affiliate marketing, sponsored post, products, services and a lot more. Once your blog is set-up already and you already published few posts and when you feel that you are ready to monetize your blog, you can apply for affiliate marketing programs. Now, what is affiliate marketing? Affiliate Marketing is promoting or advertising someone else’s products or services and getting a commission in return if a visitor or customer (reader of your blog) makes a purchase through your affiliate links. An affiliate link is a specific URL (Uniform Resource Locator) for a certain product that is provided by the merchant to be used by the blogger. This special link allows the merchant to track the people who clicked the link through the blog. This will be the basis of how much the blogger earns for a specific product. There is no additional cost for the buyers when they buy through your affiliate links but you will get a percentage of the sale for marketing the product. The percentage depends on the affiliate programs that you have joined because each program is different. Others say that this is usually the first affiliate marketing program for new bloggers. Because aside from the fact that Amazon is already one of the most trusted brands when shopping online, Amazon offers thousands of products. That gives the blogger a wide range of items to promote no matter what is their niche thus giving them a bigger chance to make a sale. ShareASale is one of the largest affiliate networks that consists of different merchants with thousands of products. 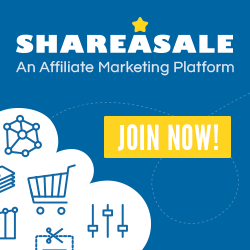 Aside from signing-up to join ShareASale, you have to sign-up for every merchant that you want to be an affiliate of. Some merchants approve you right away while others take few days. Be ready also for an email that says your application is declined. Don’t get disappointed! There are lots of merchants waiting for you. You can try some of my favorites like PicMonkey, Grammarly and Green Kid Crafts. Ultimate Bundles is an affiliate marketing program that offers a collection of online resources that are really very useful and worth buying. You can get 40% off for every sale through your links. At the same time, affiliates can purchase a copy of the bundle also at 40% off or earn a free bundle based on sales total. It’s a win-win! You can recommend bundles such as Ultimate Productivity Bundle, The Genius Blogger’s Toolkit, Master Your Money Super Bundle, Healthy Meal Planning Bundle and a lot more. I highly recommend The Genius Blogger’s Toolkit. 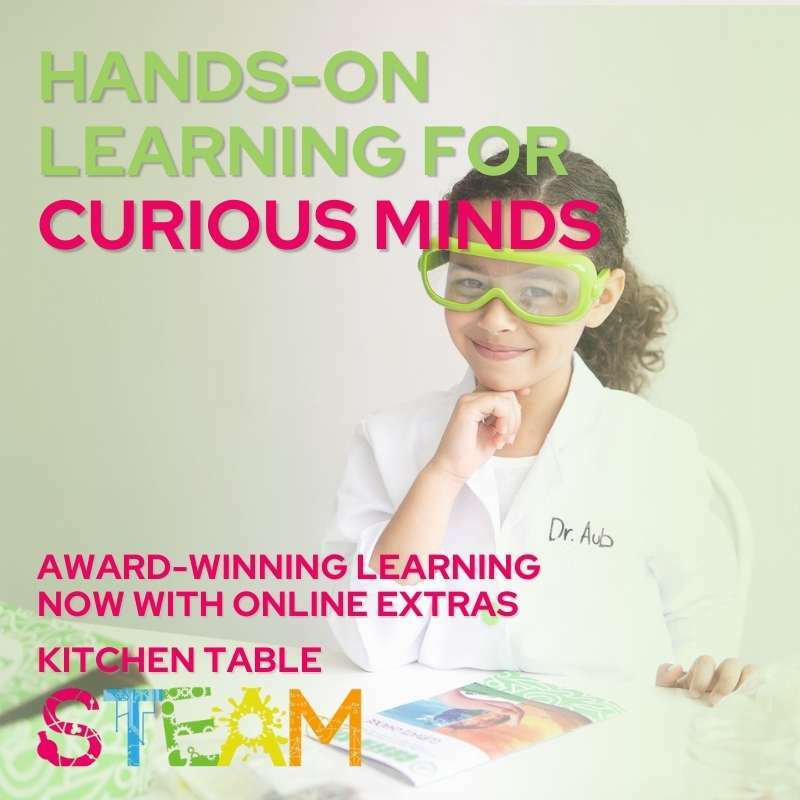 It contains 15 eBooks, 41 eCourses, 9 printable packs and workbooks, 5 templates, 5 stock photo sets, and 2 membership sites. If you want to know more about Affiliate Marketing, learn from Ana of The She Approach through her Affiliate Marketing Training Bundle. This training is for bloggers who are struggling to make their first affiliate sale or who are stuck at under $1000 in earnings and want to grow their income. Now, If you don’t even know where to start looking, Ana has The Affiliate Programs Masterlist where you can have access to 500+ options of affiliate programs to choose from. All of us has to start somewhere, so if you want to know first what Affiliate Marketing is and why this is the best way to make money blogging, you can get a free course from Ana. Grab this Free Affiliate Marketing Video Course! Learn the fundamental steps that you need to take when you’re getting started with Affiliate Marketing plus more. Please take note of this: at the end of the Free Affiliate Marketing Video Course, you will receive a special discount for the Affiliate Bundle! Get paid as Virtual Assistant. A virtual assistant is someone who provides professional administrative, technical or creative assistance to clients remotely from a home office. Most virtual assistants are contract or freelance workers who do their jobs from home and focus on administrative tasks that are similar to those of an executive assistant or secretary. But I can say that it is not just being a secretary because there is definitely a ‘high-tech’ difference there. As a virtual assistant, you are offering your service and special skills to your clients. The pay really depends on the tasks that you can handle and the experience you have. If you are interested to become a VA, you can download this FREE list of 150+ services you can offer as Virtual Assistant. Sell on Amazon to make money. If you have a good eye in buying products on sale or on clearance and then reselling it for a profit, then you might be interested in starting your online business. Then you have to check The Selling Family and be inspired! Read this very informative post about How To Sell On Amazon – A Beginner’s Guide. This post is going to show you everything you need to know to get started as an Amazon FBA seller. To walk you through the entire process so that you can build your business on a solid foundation, you might want to enroll in their Amazon Boot Camp. This is the Go To course for starting an Amazon FBA business. You can also grab the FREE 7-day email course here! This course reveals exactly why the Amazon Business Model works for everyday people. Create and sell digital products to make money. Digital products are intangible goods that exist in digital form and you can sell virtually. There is no physical product involved so easier to manage, less expensive to create and easy to market. Examples of digital goods include ebooks, e-courses, music files, software, digital images, website templates, manuals in electronic format, and any item which can be electronically stored in a file or multiple files. Digital goods may also be called electronic goods or e-goods. The popular digital products for bloggers are ebooks, e-courses and website templates. This ebook will help you skyrocket your blog traffic by giving you actionable step-by-step SEO and social media strategies, tailored to your unique content. This ebook is a full guide to Pinterest for bloggers who want to boost their blog traffic. Perfect for beginners and pinners who want advanced strategies. Do all of the above to make money. Do you know that you can do all those plus more with Swagbucks? Search the Web – Earn SB points when you search the web using Swagbucks Yahoo! powered search engine. Shop Online – Cash back shopping at over 1500 retailers including Amazon, Walmart, Target, and Starbucks. Earn SB points for every dollar you spend plus get access to exclusive deals and coupons to your favorite retailers. Watch Videos – Watch entertaining videos and get free gift cards! Earn SB points for watching playlists that were put together just for you! Answer Surveys – Share your opinions and get free gift cards! Earn SB points when you answer fun surveys and polls. Play Games – Get free cards for playing games! You can earn SB points when you make in-game purchases through Swagbucks partners at GSN, or play original free games and earn randomly. If you would like to get free gift cards or cash, you can sign-up for Swagbucks here and earn $5. Swagbucks is FREE to use! Another program for cash back when you shop is Ebates. Shop and earn cash back at over 2,500 stores online. Find everything you need from men’s, children’s and women’s clothing, accessories and shoes to home decor, electronics, toys and more. Shop the best sales and deals from your favorite online stores like Amazon, JC Penney, Walmart, Macy’s, Michael Kors, Forever 21, Sephora, Nike and a lot more. Plus save with thousands of coupons and promo codes. Check back daily for new sales and hot deals to help you save with cash back at Ebates. To start with Ebates, you must sign-up first. It is FREE to join! For US residents: click here to sign-up and earn $10 on your first purchase through Ebates if you spend at least $25. For Canada residents: click here to sign-up and earn $5 on your first purchase through Ebates if you spend at least $25. Another survey site that I recommend is Survey Junkie. It is an online community with over 10 million members and that includes me. It is FREE to join. Take online surveys anywhere, anytime, and on any device. Earn points by successfully completing each survey. Redeem your points for cash via PayPal or e-Giftcards. Sign-up here and share your opinion! There are many other ways to make money online but for now, that makes up my list. How about you? What’s your favorite? I would love to know!